Many of us would not know about the properties of magnesium in the body. For smooth body running magnesium requires in large volumes. It makes immune system strong and you get all the inner strength. Magnesium is quite beneficial for the people who suffered from depression and migraines. Soybean: It has plentiful protein, vitamins and magnesium. Soak the dried soybean sprouts and eat it. You will get benefit. Avocado: It contains many vitamins and keeps your heart healthy. Prepare avocado sandwich and eat it. 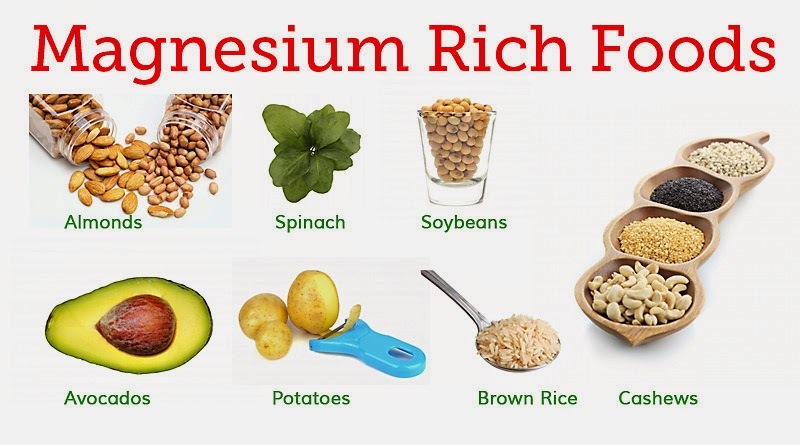 You will get plenty of magnesium. Dark chocolate: Dark chocolate contains much higher amounts of magnesium. It can be eaten twice a week. Pumpkin seeds: Pumpkin seeds have plentiful magnesium. You can eat it with evening tea. Curd: You can get calcium and magnesium for the body from yogurt and you do not have any side effects. Fish: Fish is full of magnesium and omega-3. You must have to eat at least once a week. Banana: Banana is rich in potassium. It has 30 mg magnesium which is beneficial for the body. Almond: You can get 75 mg magnesium by eating almond one time. Soak 5 almonds in the evening and eat it in the morning. Strawberry: Strawberry has enough magnesium which gives stamina to the body and makes it strong. You can eat it alternate day. Fig: By eating fig you can get balanced amount of magnesium for the body. Spinach: You can eat raw or paved spinach every day. It gives good amount of iron and magnesium to the body. Cocoa: 10 gm cocoa has 52 mg magnesium. You must have to eat cocoa. Cereals in breakfast: By eating cereal or sprouts in breakfast gives you magnesium. Cashew: Cashew has carbohydrates as well as magnesium which keep the body fit and healthy. Peanut Butter: A single teaspoon peanut butter contains about 22 mg of magnesium. Do not forget to put peanut butter on your bread slices at breakfast.